How far would you go for your family? That is the question at the heart of the haunting noir, “Borderliner” (originally titled “Grenseland”), and the answer it comes up with is complicated. As a police detective visits his family that complex conundrum is precisely what he gets faced with handling. Wrestling with his loyalty and sense of justice, Nikolai (Tobias Santelmann of "The Last Kingdom") risks everything. The future of his career and with his boyfriend to do what he thinks is right by his family. One surprising twist begets another for a Netflix series that keeps the mind busy while watching and well after it is done. “Borderliner” follows Nikolai as he visits his family, which includes his brother, niece, nephew, and father. Before long, he ends up working the case of a mysterious death that quickly turns into a murder investigation in his hometown. When he learns that his family is entangled in it, Nikolai decides to cover up the crime. Thus, begins the tenuous task of staying one step ahead of the authorities, which includes himself. “Borderliner” delves deep. As much as it is filled with suspense, at its core, it is a family drama. Nikolai is innately protective of his younger brother, Lars, who is a single father. It soon becomes clear that Lars (Benjamin Helstad) is not in the best shape to be taking care of his children. Something that Nikolai demonstrates he is much more adept at doing. Add into the equation Nikolai and Lars’ dad, and you have a family dynamic rife with tension. Nikolai is a loving brother, caring uncle, and weary son. All of these various roles within his family pull him in multiple directions. Meanwhile, he has a life with his boyfriend, Kristoffer (Morten Svartveit), and a career away from his hometown pulling him elsewhere. If there is one thing the show could have spent more time on it is the opening murder case. It has a lot to do with setting the stage for the ensuing events, as well as Nikolai's relationship with his boyfriend. For what is shown, it is enough to get a good idea of things. One of 2018's best, “Borderliner” offers viewers one of the rare instances in which a series or any other medium, has dug deep regarding the multiple facets that can comprise a person's life. As the series proves, they can provide a lot of the motivation and direction for how it is lived. Tobias Santelmann brings relentless depth to the lead role. As a character, Nikolai requires a lot of nuances. He wears many hats, and Santelmann is convincing in all of them. The ensemble as a whole offer, organic performances that keep to the series' real-feel. For those who do not mind pondering a moral dilemma steeped in tremendous consequence, “Borderliner” is the thriller for you. A slow-burn that builds with every episode, the noir ushers itself in with a crime and endures with shockwaves of unforeseen drama. Patience is required before it ramps things up and when it does, the payoff is worthwhile. Where is all of this headed? The series marks one of the rare times that has been entirely difficult to comfortably figure out. Because there is so much at stake those questions involve many characters. “Borderliner” is careful not to purposefully dispense a lot of knowledge about its characters’ histories. It unfolds as if the audience is stumbling upon its subjects with all of their various interpersonal relationships and takes it from there. In authentic fashion, it does little to add context unless it naturally flows to the forefront. Captured with a crystalized grey-blue aesthetic -- the show pulls you in with cinematography that captures the series’ mood. It is a style choice that compliments its characters descent into the moral grey with shades of hopeful color injected throughout. “Borderliner” is one of those series that stays with you long after it is over. Its ending has a lot to do with that (continue scrolling if curious). In the lead-up to it, "Borderliner" is gutsy, riveting, and surprising. It is a Netflix binge worth taking the time to pursue. 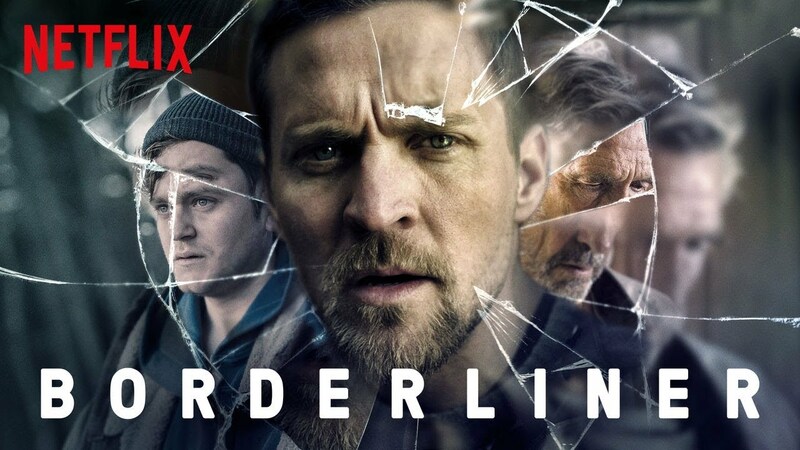 "Borderliner" is currently streaming on Netflix. If you want to know a little more about the ending, without learning specifics, keep reading. Warning: Spoilers regarding the nature of the ending of “Borderliner” are below. It is important to note that “Borderliner” ends on a considerable cliffhanger. It is not necessarily a life or death one. However, it is a critical and open-ended plot point. Full disclosure: a sense of resolute closure is impossible to find.